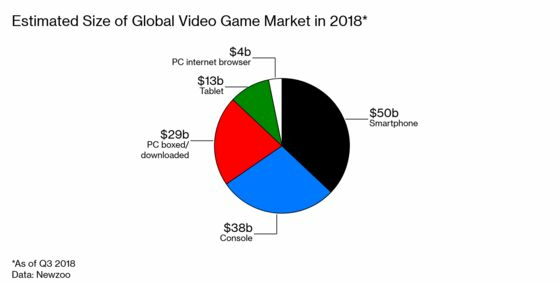 (Bloomberg Businessweek) -- Tech giants are piling into the $180 billion video game industry. 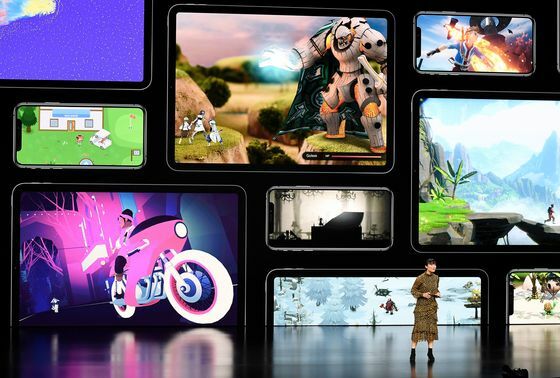 On March 25, Apple Inc. announced a subscription service called Arcade that will let people play high-quality games through the internet instead of having to spend hundreds of dollars on a standalone console or more on a high-end gaming PC. For a monthly fee, users will get as many as 100 exclusive games. Arcade was unveiled just days after Google announced a similar service, Stadia. If so-called cloud gaming takes off, it could be the biggest change in the industry since Nintendo Co. made Mario and Luigi living room fixtures in the 1980s. Shares of veteran console makers Nintendo and Sony Corp. both fell after Google’s announcement. Along with Microsoft, Nintendo and Sony have stayed competitive by creating or buying rights to exclusive games, then charging people hundreds of dollars for the devices needed to play them. A cloud model as cheap as Netflix Inc.’s could doom consoles to the same fate as the DVD player and threaten game publishers that spend hundreds of millions of dollars and years developing a single game, betting players will drop as much as $80 for it. Google, Amazon, and Apple are still missing a major ingredient: the games themselves. Google’s Stadia announcement didn’t include any hit franchises, and none of Apple’s launch exclusives are from the biggest publishers, such as Electronic Arts Inc. and Activision Blizzard Inc. Right now, those studios have a lot of power in the industry. Take-Two Interactive Software Inc.’s Red Dead Redemption 2, an immersive shoot’em-up set in America’s Wild West, made $725 million in its first weekend on sale. Apple has yet to announce the monthly subscription price for Arcade. 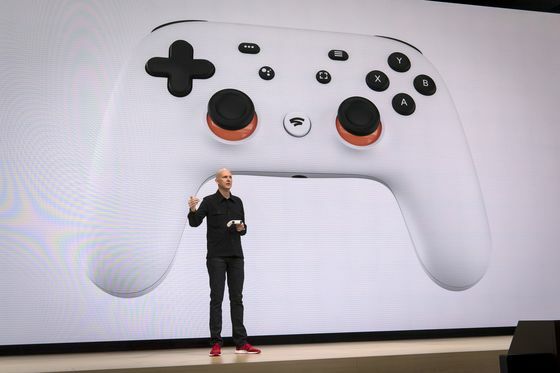 Google didn’t say how much Stadia will cost, but most observers are expecting some kind of subscription plan, or even a free service supported by ads or in-game purchases. The latter model has become a central part of game developers’ business strategies over the past decade. Even megahit shooting game Fortnite, which made Epic Games Inc. $2.4 billion in revenue last year, is free to play. The money comes from extras such as special character outfits, called skins. At least some of the tech giants are likely to bid up streaming rights to blockbuster games over the next few months. For now, though, Microsoft appears to have the strongest hand. It has the deepest history in gaming among the big tech players thanks to its 20-year-old Xbox console business, which fought its way into that market in the early 2000s. The company has been testing its own cloud gaming product, and in an internal memo, gaming chief Phil Spencer promised to “go big” at the industry’s biggest annual conference in June, according to a person familiar with the memo who spoke on condition of anonymity because the discussions weren’t public. Microsoft has the data centers and internet infrastructure to compete with Amazon and Google. It also has something those companies don’t: games. Microsoft has steadily been buying game developers over the years, along with the rights to fan favorites including the Halo and Gears of War franchises. It also owns one of the most popular games of all time, Minecraft, which it acquired when it bought Swedish developer Mojang AB for $2.5 billion in 2014.